At the moment the diagnosis and treatment of ovarian cancer lags behind other high profile diseases like prostate or breast cancer. And we think this is unacceptable. That’s why we’re on a mission to stop women dying. By finding and funding the innovators who will help us break this cancer. 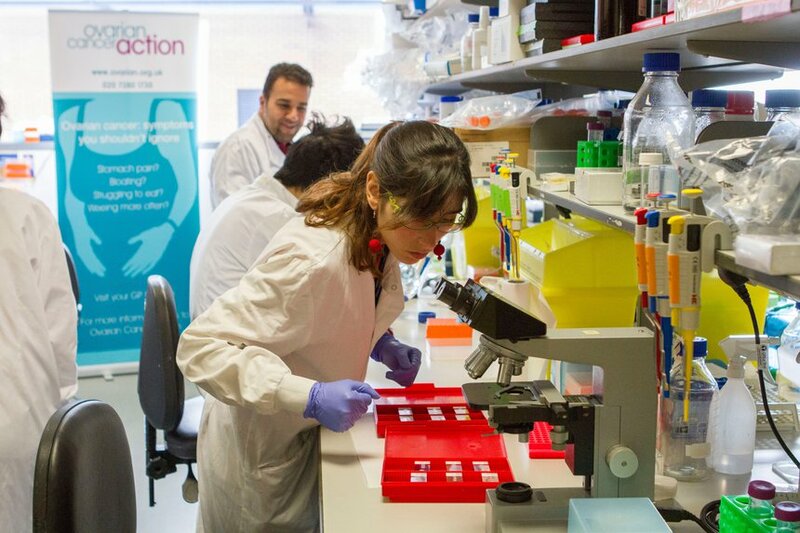 From the scientists working on the latest breakthroughs in the lab to the people raising the vital funds we need to make our vision a reality. We believe that investing in scientific research will tackle, and ultimately defeat, ovarian cancer. It must be translational: that is research that will translate from the lab into real life. Research that makes a difference to women with ovarian cancer. We will keep pace with the latest thinking in ovarian cancer research and treatment, defined by our HHMT meeting. We will find and fund the innovators. We believe in the power of collaboration between scientists to make change happen faster. Our research is peer reviewed by our Scientific Advisory Board; a panel of international experts who act as impartial advisors on the quality of the research we have funded and will fund. Accordingly we are members of the Association of Medical Research Charities. This membership is a ‘kite mark’ of a quality peer review process. We are members of the Concordat on Openness on Animal Research. The research we fund will never forget the ultimate goal, which is to improve the outlook for women with ovarian cancer. We’ve invested more than £11m in research and that figure will continue to grow.